I cannot put it off any longer. I always intended to talk about food and wine (2 of my favorite things in the world) more, but I am not cooking lately and I haven't had any exceptional wines since I've been back. So I am going to go ahead and start my weekly wine discussion even though this one will be a little more on the negative side. Why pay a lot for a not-so-great bottle of wine and be disappointed when I can clearly do that for you? 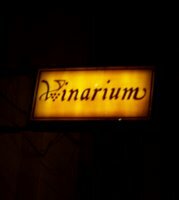 Another friend has a wine bar called Vinarium (that would be Chinese for wine bar), but it is owned by the same group of guys as Berevino. They have a full menu and a detailed selection of wines, but I'll get right to the point. After a bit if debating over what to order, it was decided that we would drink Barolo. Expecting more of an aglianico (native red grape of Campania) evening, I was pleasantly surprised. Just in case you don't know, Barolo is a wine from Piedmont--not just any wine--the "King of Italian wines." It's made from the nebbiolo grape that is grown in a strictly delineated zone surrounding the village that gave the wine it's name, Barolo. The Barolo that was chosen was Michele Chiarlo 2001. Some of you out there may say, "Tracie, that wine needs to age longer, you fool!" But I have no cellar, and the wine was on the table. Let me just start by telling you what I expect from a glass of Barolo. I expect 21 layers of scent to jump out of the glass. I expect to be slapped on the tongue with a chameleon-like flavor profile that enters as one thing and finishes as quite another. I EXPECT the complexity of dried cherries, (not fresh!) 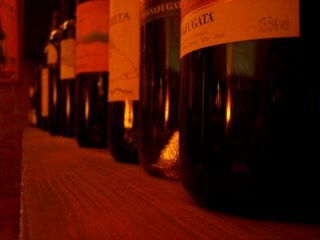 old leather, and earth all executed with the wisdom and sophistication that the Piemontese winemakers so often deliver. This time, I was disappointed. The Barolo of Michele Chiarlo was flat, uninteresting, and completely one-dimensional. The bottle was neither corked nor oxidized, nor did it have the excuse of having been mistreated with undesirable storage conditions. This is, however, my very unprofessional opinion, and if any of you out there disagree, feel free to leave a comment. I am always open for a little wine debate. Despite the not-so-great Barolo, I had a great time, ate a good plate of bucatini with fresh tomatoes, and a mean slice of steak with sauteed scarola (escarole). 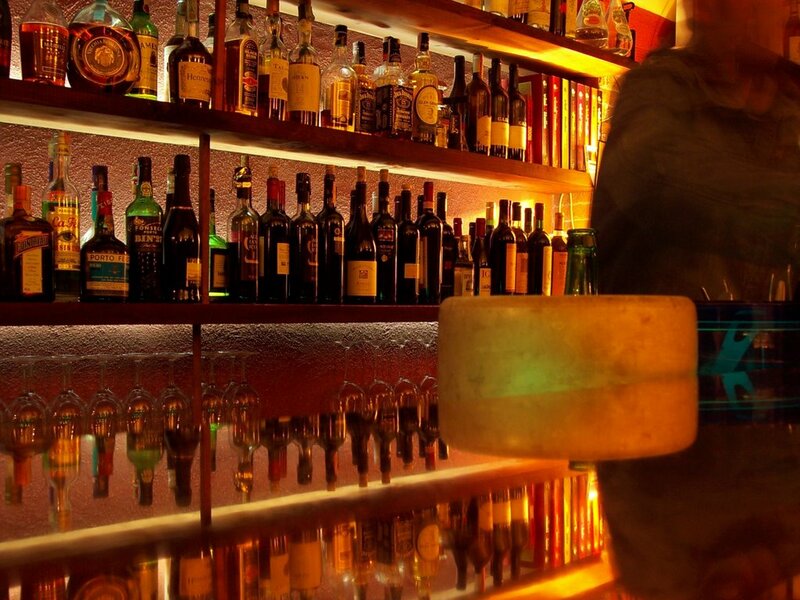 Vinarium is as welcoming a wine bar as any, with a typical, warm ambience and a loyal local clientele. Go out and try a Barolo, it's well worth the expense, and if you choose the right one you will understand (if you are not yet convinced) why for some people wine is poetry, an enthusiastic pursuit of greater knowledge, passion, and an eternal celebration of such a capable little fruit. Thanks for the review! 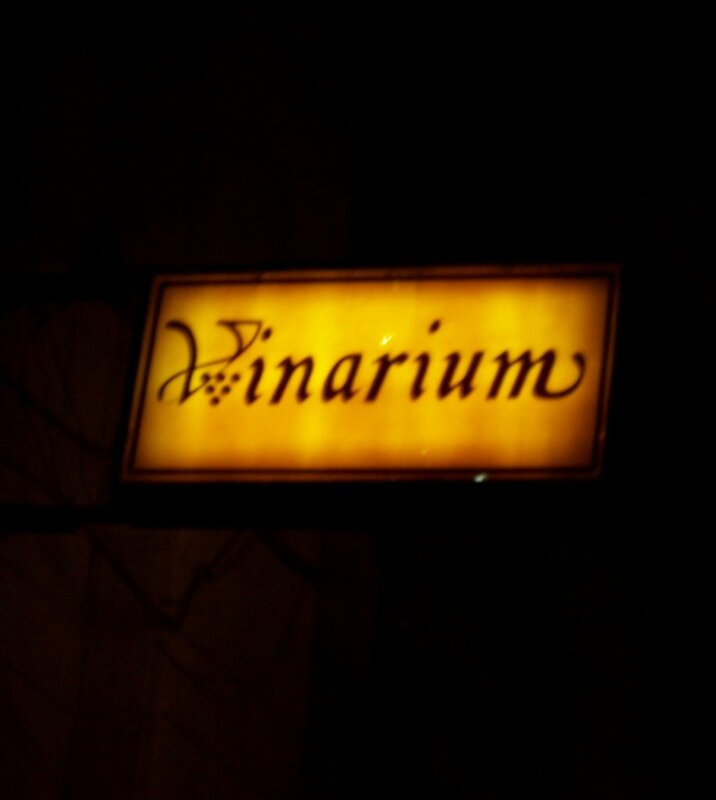 After 3 years here, I still know very little about wine. Will try a Barolo soon and with high expectations. The way you described it, it sounds exactly like my first bottle of Amarone della Valpolicella (then I went and drank another 7! - Just kidding) It rolled itself through about 20 different flavors in my mouth. That hasn't happened before or since. If you have any other suggestions, bring them on! i'll try to write about wine every week from now on, as it is one of the reasons that i came to italy, so hopefully there will be future suggestions. in the meantime, check out those sites! Tracie, I know what you mean about a great Barolo. When I first started at my current job, my boss took us out to dinner and ordered one. A dinner for 5 was almost $700 and biggest reason for the expense was the wine. Of course I didn't write the name down (then again I can't afford wine at that price). It was amazing!! Months later I still think about it. Don't know nuffink about art, but I know what I like. And I do like Barolo. Best one I had was in Lima in Peru, of all places, which cost $120. Small beer compared to nyc above, but boy did it go well with the pasta! You sound like quit the taster and know what you are talking about, unlike me... I'm curious to even know if it exists here in Canada... Probably at $100 plus or so, lol..
For everyone reading this post, you must know that Miss Tracie makes the BEST panna cotta I have ever tasted. And she served it with a Moscato d'Asti which was, indeed, delicious. But I haven't had a glass of good wine since you left Texas! Dean asks me what I want when he goes to the corner store and I just say "whatever." I am suffering from wine apathy. You are such a good influence, Tracie. I'm a fan of Barolo as well. I don't drink it much because as a daily drink it can be expensive. I try to keep my daily drinkers down around 10.00 US. However I have had the Muscato d'Asti you mentioned. Delicious, I absolutely agree. Some of them can be like syrup but this one was not. I keep a bottle hidden in a cabinet in my kitchen that is doubling as a secret wine cellar. Tracie, I still love you even though you talk about stuff I have absolutely no idea about. dad, i still love you too even though you made fun of my wine bible. got an extra ticket to Vinitaly for a day if you want it! Um Barolo is good but it is horribly expensive here. I drink too much to buy that too often. Your Italian living sounds good though. Are you really as lovely as you seem to be from your photo? Le Chat- As a dear friend of Tracie's, I can tell you that she's even purdier in person...gorgeous even. Tra-how bout a bargain wine review for some po folk in texas? Tracie b. a 2001 Barolo? That is an infaticidio! Barolo is like a great woman, you have to let it mature to get to get the right mix of complexity, structure and balance. d.girl--i really don't know what to say! i can't think of a better compliment than that--thank you for reading! Tra I too need a list of some the wines we enjoyed while you were home. I have not enjoyed a good glass since you left. Although, on our anniversary I did have a good glass of s. baugh(spelling is ugh). Maybe in a few years I will remember one. You have a passion for wine and everything about it. It is catchy!! !